Another alternative to the common siphon and float switch configurations is to use indexing valves for multiple grow beds. These have one water inlet and multiple outlets. Water from the inlet only flows through one of the outlets. Which outlet depends on an index. Indexes rotate and are changed by breaking the inlet flow briefly and restarting it again. 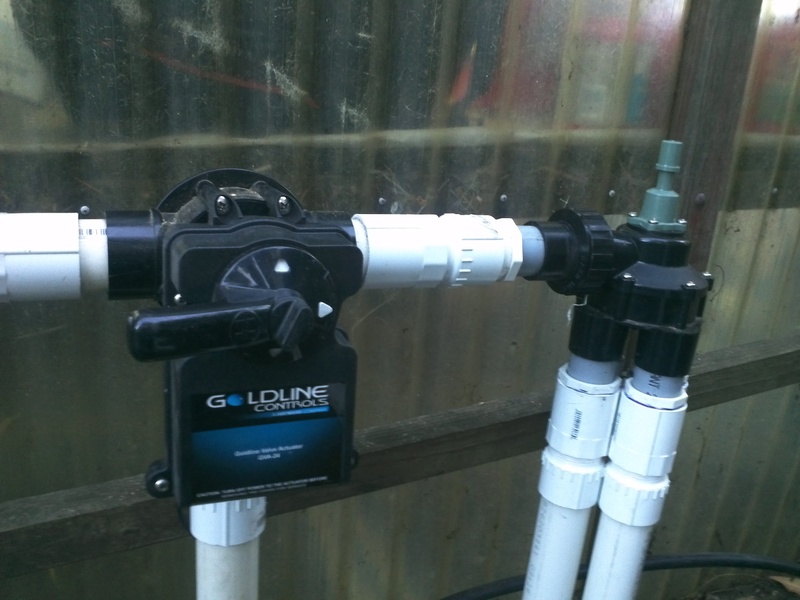 Rather than brutalize the pump by turning it on and off, a 3-way valve is used to divert the water flow back to the fish tank through a venturi. 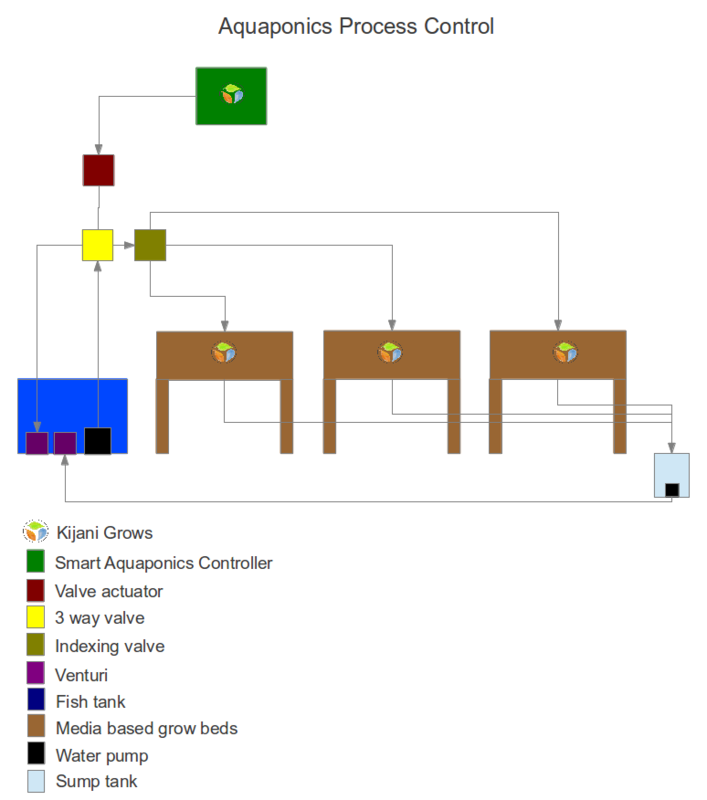 The 3-way valve is a manual valve that is moved automatically using a valve actuator which is then controlled by say a Smart Aquaponics Controller. Each growbed is then filled individually one at a time. Multiplexing grow beds means smaller fish tanks (higher fish densities) and sumps can be used efficiently. The sump returns through a venturi or in a self cleaning arrangement. Typical control valves are shown below. The 3-way valve sits behind the valve actuator shown with a handle and feeds the indexing valve on the right which sequence the growbeds.